A contemporary, minimalist flat profiled band complimented by a soft matte texture. Your wedding bands should be a unique as your love story. 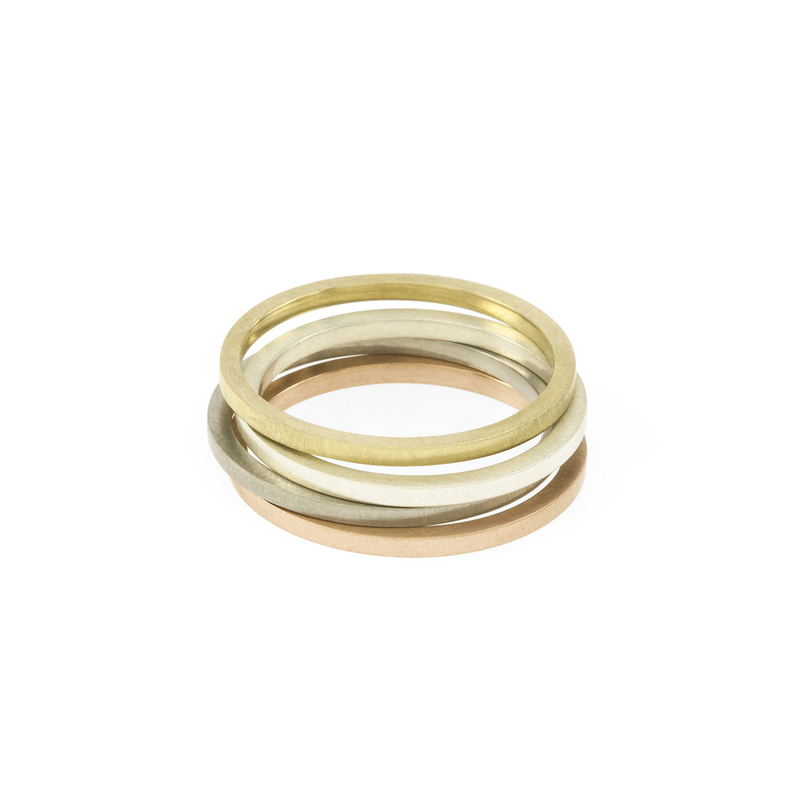 Choose from five widths; 2mm, 3mm, 4mm, 5mm and 6mm and three hues; please see the colour samples in the last image, from top to bottom: 9K yellow gold, sterling silver, 9K white gold, 9K rose gold. What's your perfect match? Handcrafted in 9K gold reclaimed from circuit boards. This ring is made to order, please allow up to ten working days for manufacturing. Please specify the size you would like in the comments section during checkout. 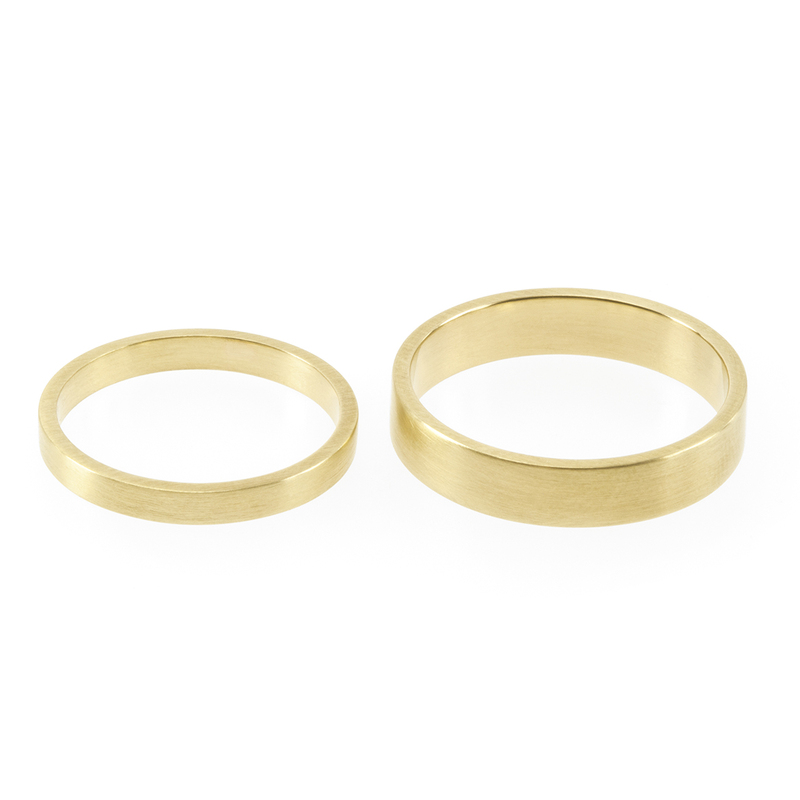 For help with ring sizing have a look at our sizing chart. These rings are sold separately, to order a set please check them individually. 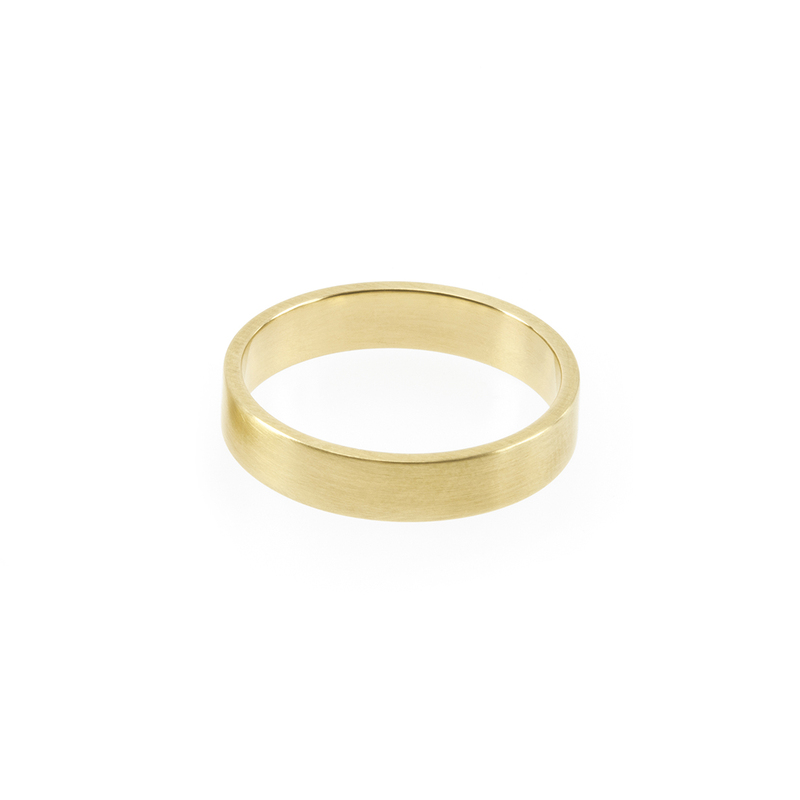 Notify me when 9K Yellow Gold 2mm wide Simple Bands is available.